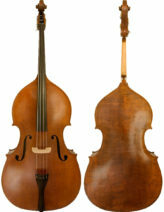 The KRUTZ 200 bass raises the bar for student/intermediate level instruments. They are carefully constructed to our specifications in our affiliated shop in Beijing and all set-up in our Kansas City workshop. KRUTZ craftsmen travel there regularly to control quality. 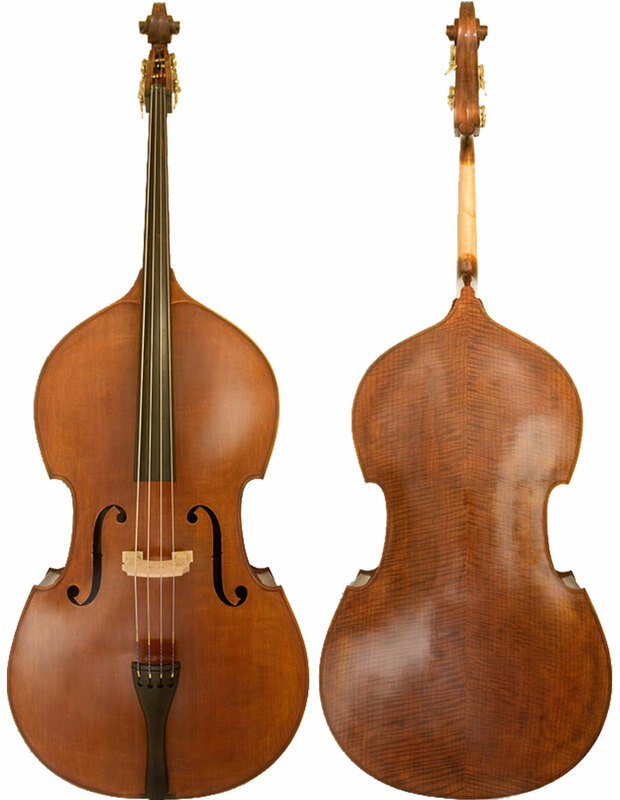 This ensures a fine appearance, warm sound and easy playability, even in fractional sizes. Upon arrival at our Kansas City workshop, they are given a professional set-up by our craftsmen. 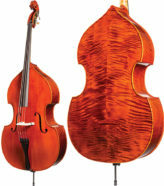 KRUTZ Series instruments produce a higher tonal quality at a more competitive price. Specs: Hybrid; carved seasoned spruce top, plywood back, ribs and maple scroll; Gamba or violin corners; sloped shoulders; 4 individual brass machines; ebony fingerboard; 10mm endpin w/screwed rubber stopper; D'Addario Kaplan strings, adjustable bridge with brass adjusters, and ebony tailpiece. Bridge, fingerboard, nut and soundpost assembled, dressed, fitted and tonally adjusted in our Kansas City workshop. Sold as an outfit with standard bag and bow.